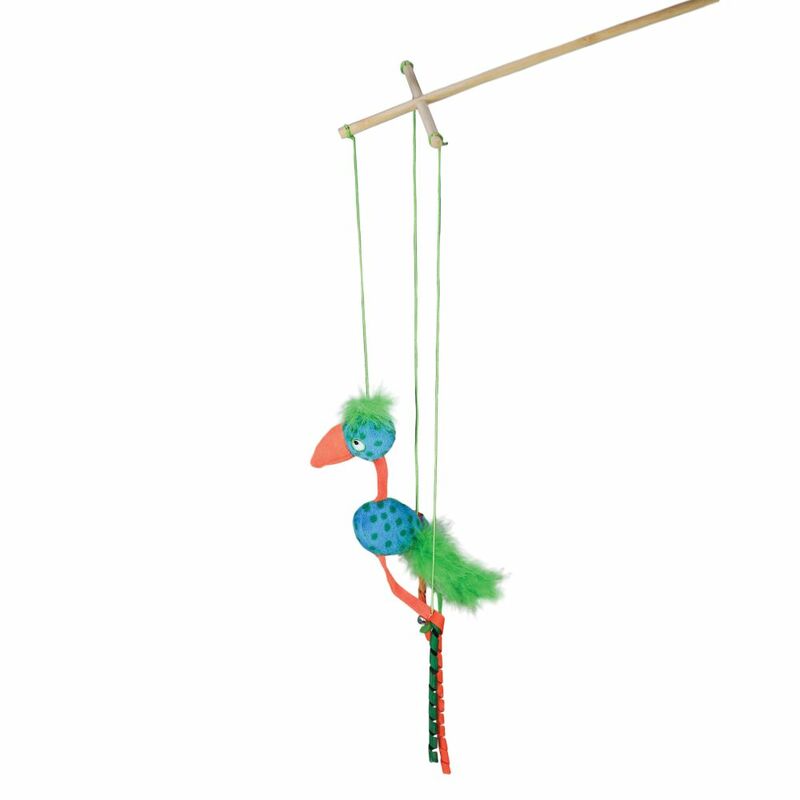 The KONG® Puppet Teaser is an exciting twist on the traditional cat teaser with a unique marionette shape designed for endless moments of interactive, playtime engagement. 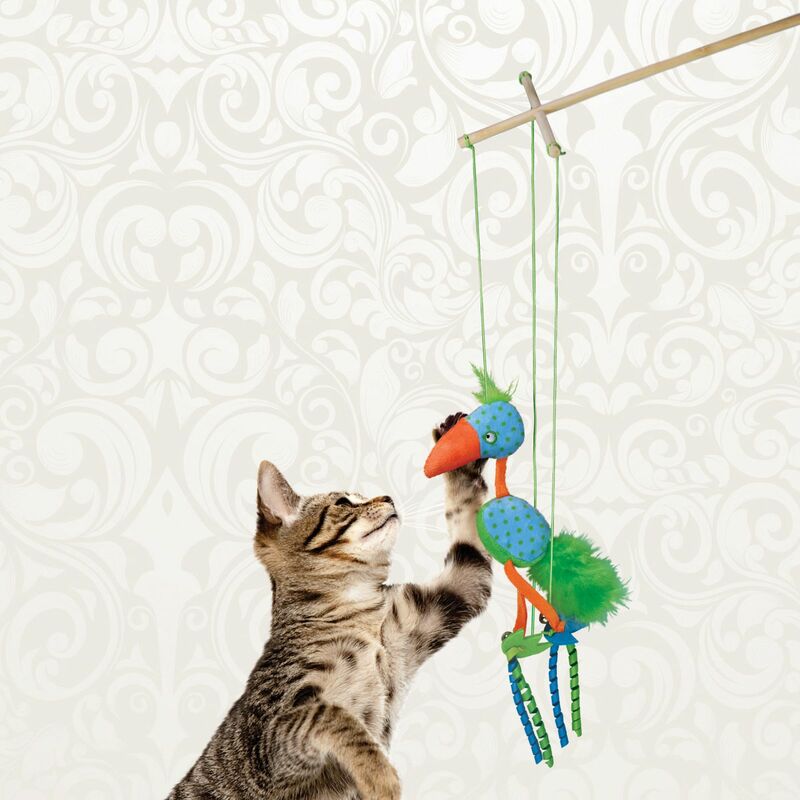 A simple twist of the wrist makes the bird dance, engaging kitty in a playful dance of catch and capture. 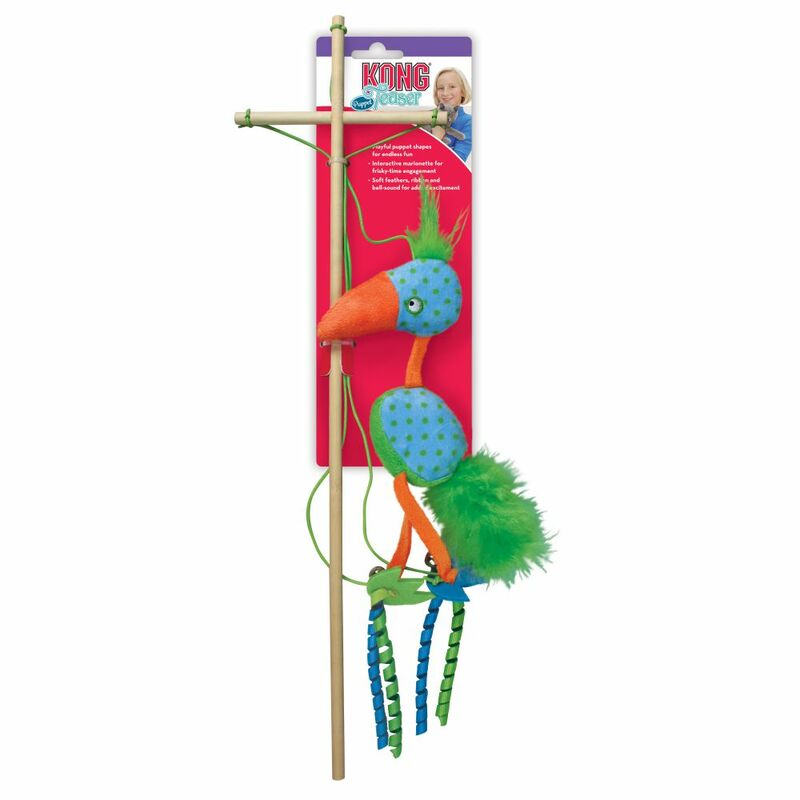 Adding to the thrill of the hunt is a soft plush bird with boa feathers and curled ribbon that entice batting and pouncing natural instincts. 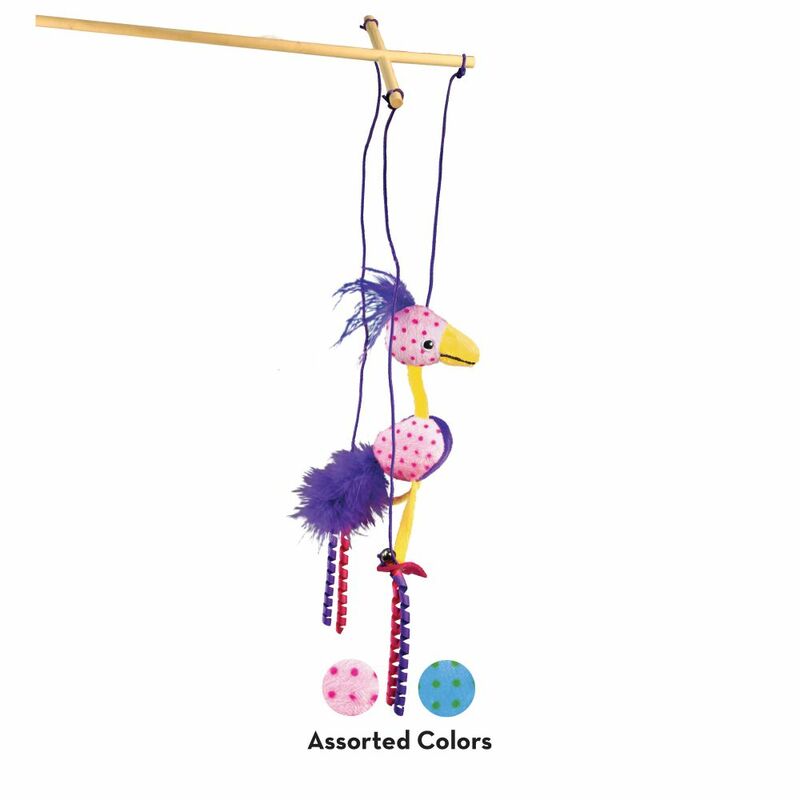 Bells jingle for added excitement.